Designed by Alvar Aalto in 1935, these standard-sized tables can be used on their own or combined with similar models creating a new formation to fit your home or office. 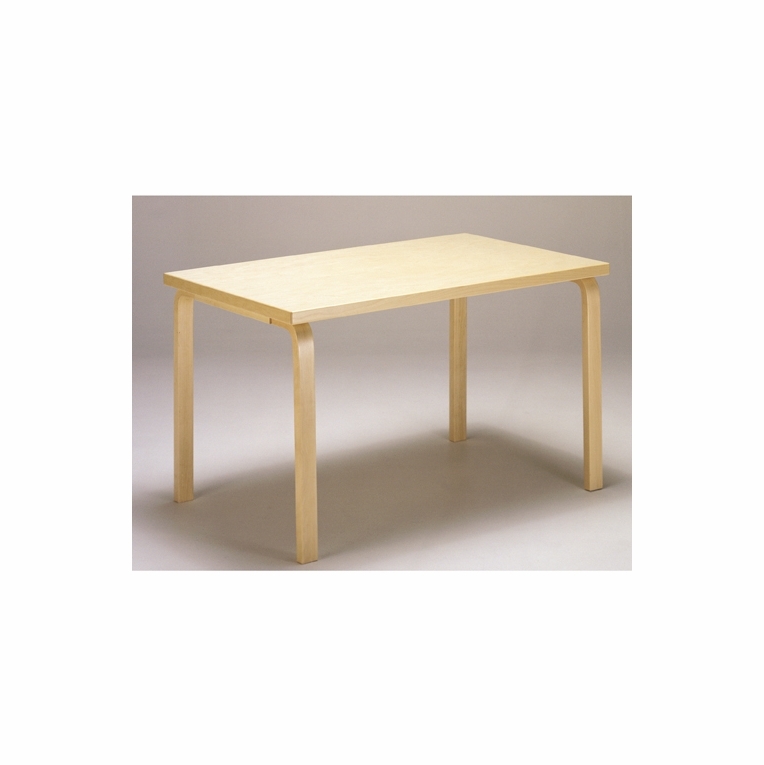 As always, Aalto tables are made from natural birch for its organic beauty and its lightweight durability. Using a bracket attachment at the joint, the unique formation of the HL1-leg demonstrates impeccable construction with timeless style. Made in Finland by Artek. Simple assembly required.Please review our Shipping Information page before ordering. Payment: 50% will be charged at time of order, remainder will be charged at time of shipment. Custom heights are available. Please contact us for more information.